"I have a little brother who has dragons on the brain. It's dragons, dragons all day long. He's driving me insane." Tugboat Press is proud to present our brand new picture book for kids. 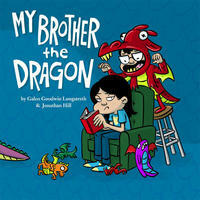 My Brother the Dragon is the story of two young siblings, a little brother who is obsessed with all things dragon related (dragon toothbrush, dragon underwear, dragon costumes, so many dragon toys) and an older sister who's had it up to here with all this dragon nonsense! 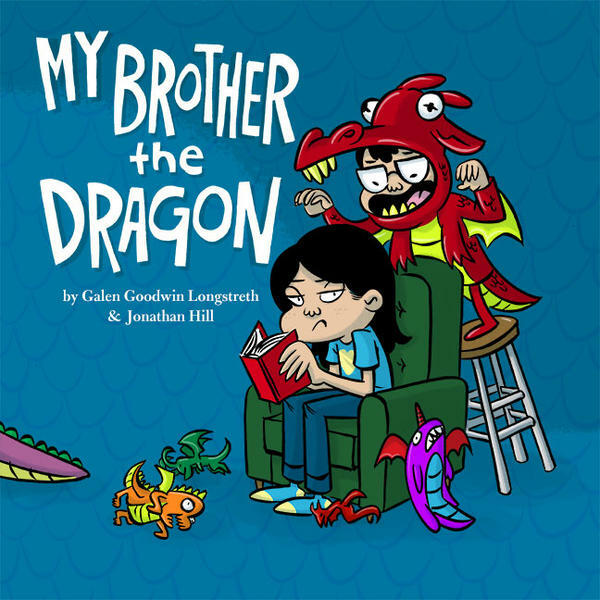 Told in charming rhymes by Galen Longstreth and illustrated in full color with energy and humor by Jonathan Hill, My Brother the Dragon is a fun tale of sibling rivalries, childhood obsessions, and the little things that drive us crazy about the people we love. Order online from Powell's Books. 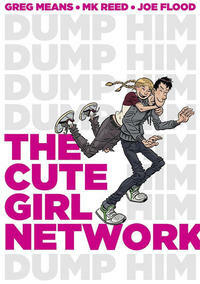 A rollicking romantic comedy from MK Reed (author of Americus), G.Means, and Joe Flood (artist on Orcs andHellcity), the book tells the story of Jack and Jane, two punk kids living in the big city. Jane is the best skateboarder in town and Jack sells soup on the street for minimum wage. After a few dates, things are look pretty good for our young couple until The Cute Girl Network (an information clearinghouse for ex-girlfriends) gets involved and proceeds to tell Jane all about Jack's embarrassing dating history. Their message is clear: DUMP HIM! Published with our friends at First Second Books. 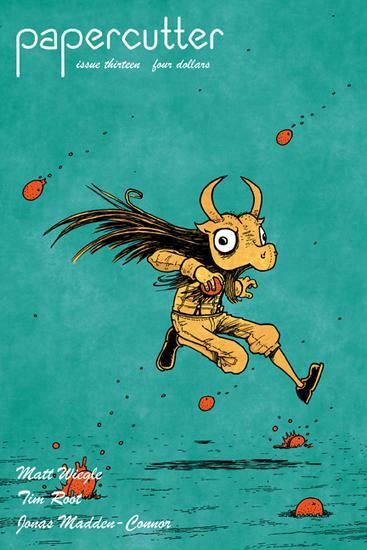 Papercutter is Tugboat Press's award winning anthology series dedicated to showcasing the best young, underexposed and emerging comic book artists. 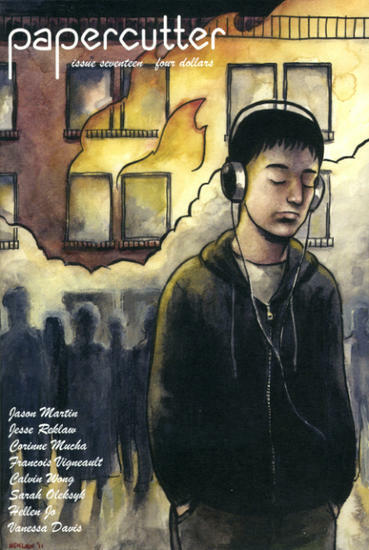 This issue marks a departure for Papercutter as we turn the whole issue over to acclaimed zinester Jason Martin (Laterborn) who fills the issue with seven autobiographical stories illustrated by seven of today's best cartoonists. Jesse Reklaw (Slowwave) draws a story from Jason's youth as he creates the greatest unknown supervillain of all time, "The Weeper". Calvin Wong (Ramble On) provides the art for one the most harrowing moments in Jason's life as his house nearly burns to the ground. Corinne Mucha, Francois Vigneault, Sarah Oleksyk, Hellen Jo, and Vanessa Davis round out this special issue with funny, compelling, and heartfelt stories. Additional art by Nate Beaty. 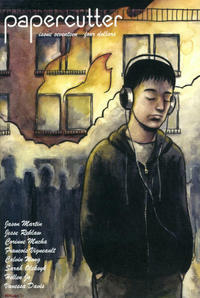 Papercutter #16 is the latest issue in Tugboat Press's long running anthology series dedicated to showcasing the best young, underexposed and emerging comic book artists. 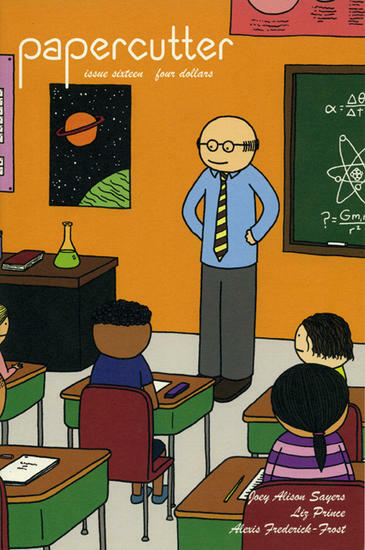 This issue features a darkly compelling cover story by Joey Alison Sayers (Just So You Know), that follows the life of a middle school science teacher as his noble ideals about his profession start to crumble around him. Liz Prince (I Swallowed the Key To My Heart) returns with a brief look at the inner workings of her mind and finds it all to be pretty cool actually. Alexis Frederick-Frost (The Courtship of Miss Smith) wraps up the issue with a lush tale of a hunter who finds some of her prey to be adorable. Additional art by Nate Beaty. 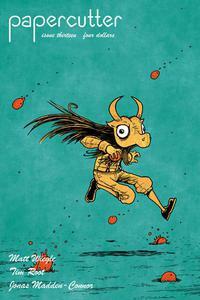 Papercutter #13 is the latest issue in Tugboat Press's long running anthology series dedicated to showcasing the best young, underexposed and emerging comic book artists. This issue features a brilliant cover story by Matt Wiegle (Seven More Days of Not Being Eaten) about a bitter son trying to get revenge on his father by creating a controversial sideshow act. Tim Root (Crappy Comics) provides the second story about a fateful morning at a convenience store, and Jonas Madden-Connor (Ochre Ellipse) tells the tale of a boxer trying to hang on for one more fight. Additional art by Nate Beaty. Available online from our friends at Radiator.